This RunFine Double Row Ball Bearings 4300 Series are open bearings, and have a reinforced polyamide cage and normal clearance rating. Ball Bearings 4300 Series have a smaller cross-section, that make it suitable for smaller spaces, lighter loads, and higher speeds. Because it has two rows of rolling elements, this bearing provides a higher load carrying capacity than a single-row Ball Bearing. Deep Groove Ball Bearings 4300 Series is made of low-alloy, through-hardened carbon chromium steel for durability and resistance to deformity under heavy loads, and has deep inner and outer races that conform to the balls that run in them, allowing higher speeds and creating lower friction than comparable-sized Roller Bearings. 0 Its open design facilitates lubricating the bearing in place and dissipating heat. Deep Groove Ball Bearings 4300 Series has an injection molded snap-type cage made of polyamide 66 to prevent the balls from coming into contact with each other during use, reducing friction, vibration, and noise. This cage type can be used at operating temperatures up to 120 degrees C (250 degrees F). Ball Bearings 4300 Series has a normal radial internal clearance designation, making it suitable for applications where the load and speeds do not result in thermal expansion. 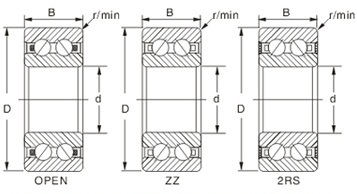 This clearance provides latitude for self-realignment and compensates for static and dynamic alignment errors. 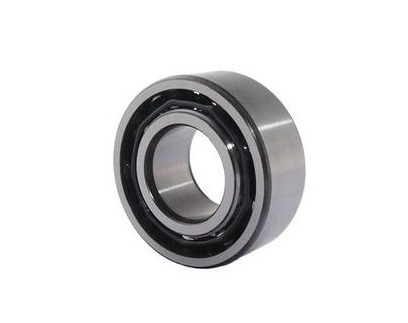 Additionally, the bearing is manufactured to normal tolerances in accordance with International Organization for Standardization (ISO) 492:2002 specifications. This deep-groove ball bearing is for use in commercial and industrial applications including generators, pumps, original equipment or replacement parts in motors, office automation, farm equipment, and conveyor rollers. Looking for ideal Double Row Ball Bearings 4300 Series Manufacturer & supplier ? We have a wide selection at great prices to help you get creative. All the Deep Groove Ball Bearings 4300 Series are quality guaranteed. We are China Origin Factory of Ball Bearings 4300 Series. If you have any question, please feel free to contact us.